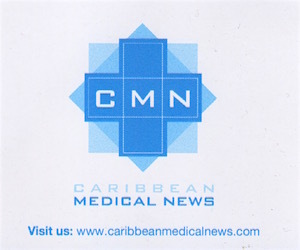 There’s a new kid on the block and it is the two year old All American Institute of Medical Sciences (AAIMS) of Jamaica and one student Gavin Tyndale said that he is looking forward to his clinical rotation. Three students have already left Jamaica to go on rotation. “There’s a lot of blood, sweat and tears between dreams and success. You have to give up a lot of things you like to do for the greater good. One of them is possibly the nightlife. You like to go out and hang out at nights, parties, movies; you’re going to have to cut a lot of that. You’re going to bleed a lot for that, especially when it comes close to exam time. TV, you’ll haemorrhage for that. That spontaneous personality we seem to have, you’re going to have to sacrifice that because you have to remain consistent and persistent in all you do, because once you lose that momentum, it’s hard to get it back,” Tyndale told fellow students according to reports in the Jamaica Gleaner. The young medical student credits the administration of the school. Clinical rotation is a term used for third and fourth year students after a successful first course of medical study in the classroom environment. However, like his fellow medical students, Tyndale would have had to sit the United States Medical Licensing Examination USMLE) and then go on rotation. The young student is an inspiration to other students at the new medical school. The Caribbean has many other regional medical schools primarily through the University of the West Indies (UWI) at Mona in Jamaica and Barbados. The US examination will determine the students’ ability to apply theoretical knowledge in the practice of medicine. 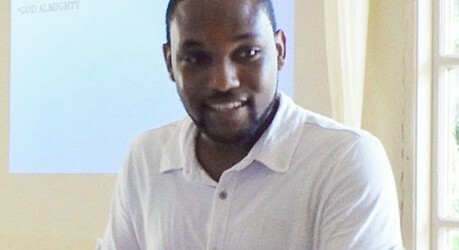 Tyndale was successful on his first attempt at the USMLE examination and is celebrated as the School’s first success. The Medical School administration says that this supports them in their view that the School is making a significant contribution in getting their students to realize their dreams by becoming top doctors. But it was not an easy road for the young student. “Before the exam, both my parents were sick: my mother was in the hospital for some time and being away in the States your mind is not focused and you want to come home right away. You won’t feel good being away when your parents are not doing well. My grandmother was not well; she was very close to me. And this was the most tragic one; my closest aunt died in an accident two days before my exam; this was the one that dropped me hard,” Tyndale said while addressing students. He also had some words of advice for the students. He encouraged them to form study groups, have a support system in place, reduce stress and find time for relaxation, friends and family.